What’s all that information on the Dashboard? You can select what to display on the Dashboard by clicking on Your name (bottom left corner) → Apps and check/uncheck the desired options. The order of the Dashboard plugins can be changed by using drag and drop both in the Apps section or directly from the Dashboard. Finance plugin – contains information regarding the sent and paid invoices by month. This way you can easily see if your business is growing from month to month or if your clients are falling short on paying their invoices. You can check the finance information based on the currencies you’ve used. To get a more general or specific view you can click and drag on the date section. You can also maximize the plugin and download the finance graph by clicking on the maximize icon next to the currencies. Time plugin – based on your user type, it displays the time tracked by you, the entire company, or the users you manage. If you’re an admin you can see the time tracked by the entire company; if you’re a regular user you can only see your tracked time, and if you’re a project manager you can see the time entries tracked by the users assigned to the managed projects. Projects & Clients plugins – offer information regarding the active projects & clients, the total number of projects & clients and the number of clients or projects added in the last 30 days. This month and previous month plugins – compares the number of worked and unused hours. The total time is calculated based on the number of users, number of working days, and number of work hours. The “this month” plugin data is calculated including the current day, while the previous month plugin displays the time of the entire previous month. 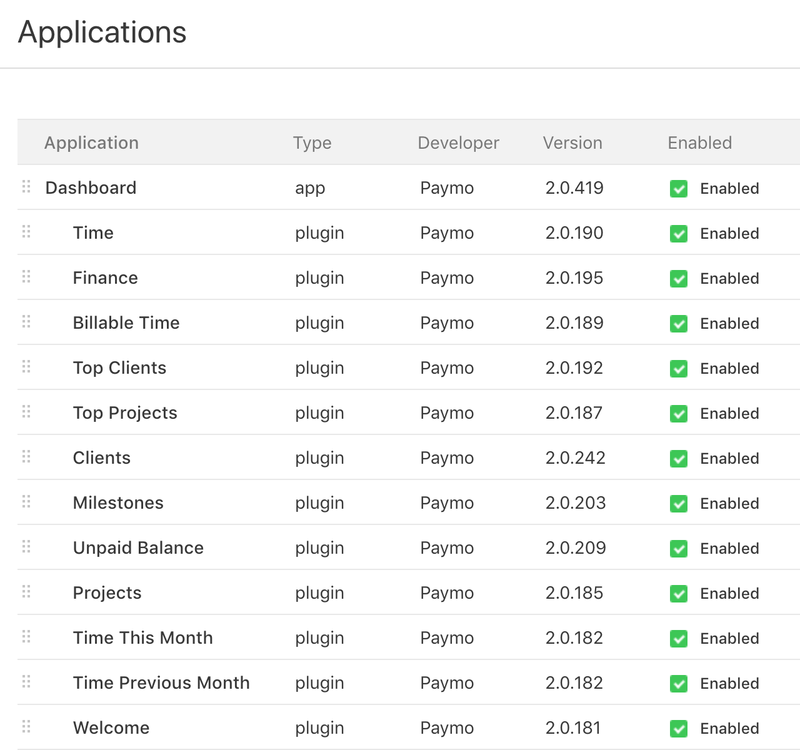 Billable vs non-billable plugins & Unpaid Balance – The first plugin offers information regarding the total amount of unpaid invoices grouped by the currencies you’ve used. If you hover over the graph you will get information about the clients that have late payments. As its name states, the Billable vs non-billable plugin gives you a comparison of billable and non-billable time entries in the last 30 days. This way you have a clear view of how you spend your time, if you spent more time on billable or non-billable tasks. Top Projects & Top Clients plugins – Offer a quick view of the projects and clients you’re working on in the last 30 days. You can see their names and how much time you’ve allocated to them by hovering over the graph. If you have a smaller screen resolution you need to use the minimize option (next to the Search section) and the project names will be listed next to the graph. Milestones plugin – displays your late and upcoming milestones grouped in a chronological order. Non-admins only see the milestones they’re responsible for. By clicking on the maximize button you will get a more detailed view and more sorting options. Active timers - shows who is working on a specific task in real time.